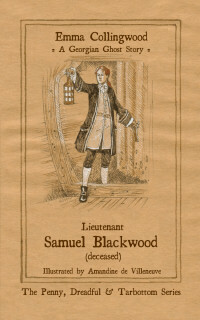 New Freebie: Download “Lieutenant Samuel Blackwood (deceased)” for free! 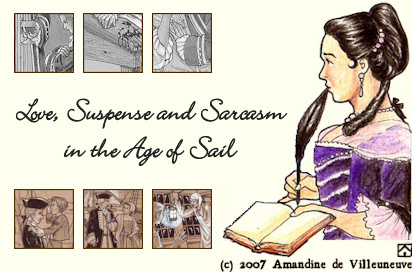 2012 marks the 5th anniversary of my first book’s publication. While I continue to work on my third novel with glacial speed, here’s a very special freebie as a small “thank you” for your patience and support: you can now download “Lieutenant Samuel Blackwood (deceased)” for free, legal and as often as you want. Download! Read! Share! Spread it all over the internet! As long as you’re not trying to sell it, we’re fine. Not that I’d protest if you should decide to buy the print version, of course. HMS Privet has the reputation of being a cursed ship: every first lieutenant serving aboard her dies gruesomely. Lieutenant Daniel Leigh is determined to solve the mystery and volunteers for the place himself, putting his life in desperate danger. Little does he suspect that he will fall in love with the captain, John Meadows, and end up fighting not only for his own life but for the soul of his lover too. A Georgian ghost story featuring a cursed ship, a vengeful ghost, a haunted captain and a very daring lieutenant.